There are many choices when searching for a dealership to shop in the Lakewood, NJ area. That’s why you should choose a car dealer with a proven record of serving drivers and car buyers with high satisfaction. 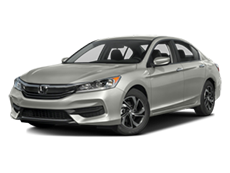 Honda Universe earned a 2016 Five Star Dealer Award from Edmunds based on actual reviews from real customers like you. We understand how important having a reliable vehicle is to everything you do, and we work hard to ensure that everyone we work with finds the best option at the best price. 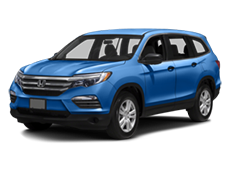 If you’re interested in a new Honda vehicle, we have the full lineup in our showroom from the Honda Civic sedan to the Honda Pilot SUV. 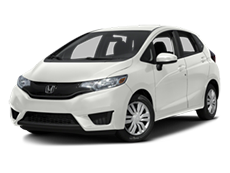 Honda is one of the best automakers on the road, and they have models to delight any driver regardless of transportation needs or budget. You have even more options to choose from when you browse our massive inventory of used makes and models. Each one is inspected for quality, detailed to look and feel like new, and priced to help you save. When you choose your car, trust us for your car loan needs. Securing an auto loan is easy regardless of credit, because our financing team is eager and able to get everyone approved. Staying on the road is just as easy when you rely on our expert service center to handle your routine maintenance and necessary repairs. 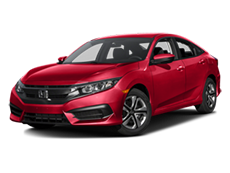 Official Honda parts and accessories are also available at great prices. 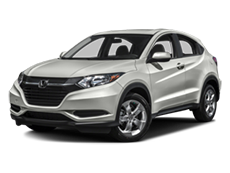 Honda Universe is here to meet all your automotive needs quickly, affordably, and conveniently. With our full-service dealership on your side, your vehicle is an asset rather than an obstacle. Visit us from Freehold, Toms River, Manahawkin, Brick, Jackson, Manchester, Berkeley, or Wall Monday through Saturday, and contact us to speak to a friendly professional in any one of our departments. 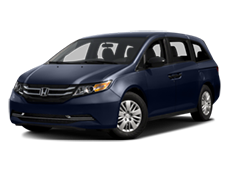 John was able to answer all our questions regarding leasing a car, it was our first time. He broke down all the options and made it easy for us to decide on the best option! Thank you for all your help and our new car! John spoke with me to make sure I was happy and then followed up with a phone call and email giving me contact info for any questions I may have. 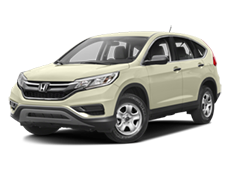 Neil Goldstein is an excellent salesman with excellent vehicle knowledge and provided excellent, quick service for my recent Honda CRV purchase. It was a pleasure and I would highly recommend Neil and Honda Universe. John McGraw went out of his way to help me personally when I needed paperwork sent to me. Their dealership helped fix our car and then get the paperwork sent to us 500 miles away when I was having a difficult time with others. He made sure to turn my experience around with one email and in no time at all and no hassles. He's top notch and makes sure you are taken care of. Did all they could to make sure I was taken care of and happy with my car. Everyone took the time needed to make sure I got the car and options I required. Totally pleased with the car I leased! Jose knows the product he sells and is very helpful, polite and enthusiastic about his job and clients. He made my experience enjoyable which is rare in my opinion when looking for a car! I have been to this dealer many times over the last ten years. This is my family's 4th purchase. I did only deal with one salesman and when I heard he was no longer there, I was a little skeptical about dealing with someone new. I was pleasantly surprised when I received a call about my lease ending from George Ebinger and told me about the great deals going on and so I made an appointment to see him. I told him I had a time constraint and if we could make a deal, I would have to come back later to finish it. Well, to my surprise, we looked and found the perfect car and to my even greater surprise, I met with George's manager Rahsaan Jones and we were able to come to an agreement in record time! I told George initially, how much I hated this whole process. I was out as promised after giving my info to begin the paperwork and promised to complete the paperwork when I got back. I returned later that afternoon and my only disappointment was having to wait over an 1 and a half to speak to the finance department. Overall, I had a great experience thanks to George and Rahsaan. George was also great at explaining everything new with the CRV and going over all the settings with me. My Mother leased a car with Causeway Honda. Instead of renewing her lease, she choose to lease a Subaru. Instead of just taking the car back to the Causeway, she was instructed to deal directly with Honda Financing. As a favor to the Subaru dealership, John McGraw went out of his way to make arrangements for the Honda to be returned to his dealership. The whole process took less than 15 minutes. John was friendly, professional and made it so easy. greatly appreciated his assistance. Shaun & Michelle were absolutely incredible. They gave me the most incredible service & helped me get into the car i am in love with at the monthly payment i could afford. Not only did they help me, they helped my mom get into a new car as well. I can't say enough good things about them. Shaun & Michelle, thank you so much. You guys are absolutely incredible. I will never shop anywhere else!!!!!!!! 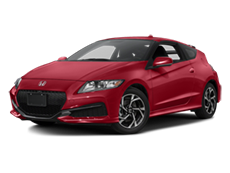 IF YOUR GOING TO HONDA UNIVERSE. DO WASTE YOUR TIME WITH ANY OTHER SALES REPRESENTATIVE. GO SEE CARMINE BUONO. IF YOU GOT QUESTIONS ABOUT ANYTHING HE GOT THE ANSWERS. YOU WILL LEAVE HAPPY AND GAIN A FRIEND. NO ONE TAKES CARE OF YOU LIKE CARMINE. THANKS FOR THE EXCELLENT SERVICE. WILL DEFINITELY BE BACK TO BUY MORE CARS FROM YOU!! !